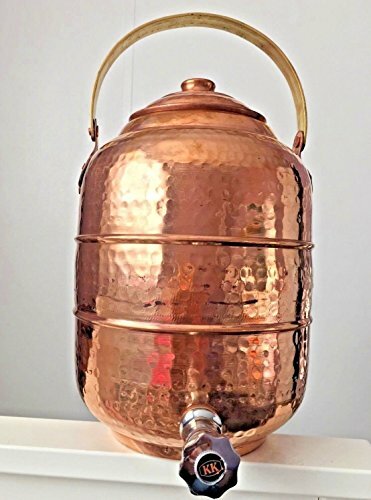 Copper Water Dispenser with tap/ faucet/ spicket - No Copper plating or lining - 1.7 Gallon / 6.5 Ltr capacity - Handmade by artisans in India - Highly recommended by Yoga practitioners and Ayurveda. Dimensions: 11.5 x 8 x 8: - Care Instructions: Please wash thoroughly before first use. 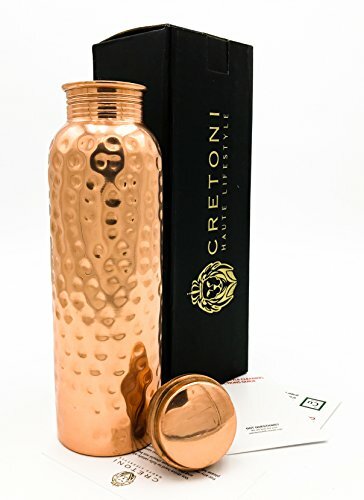 Copper is a hard metal therefore always be careful of the edges while using or washing the inside of the bottle. 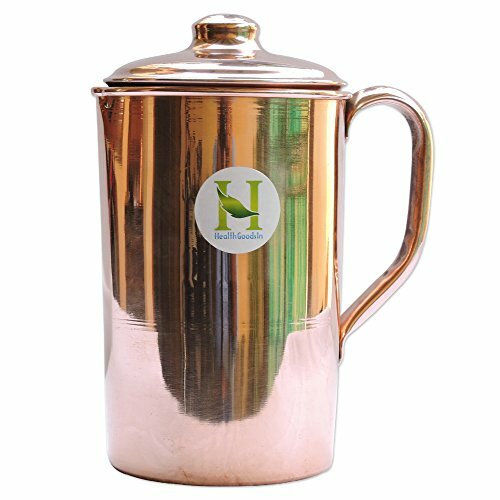 Copper oxidizes naturally and needs to be cleaned at regular intervals. 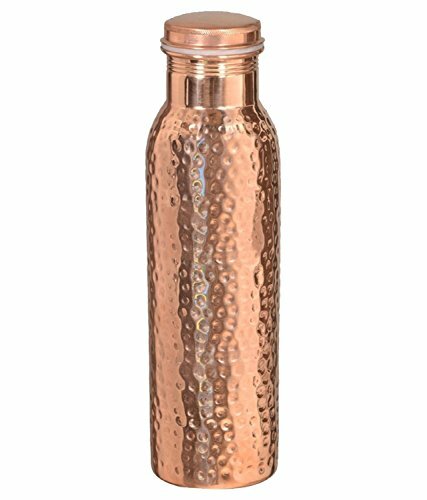 It's a natural property of Copper to show signs of discoloration or corrosion under different climatic conditions and over a number of use. You can either use some of the home based ways of cleaning it with either vinegar & salt or lemon/ lime method. 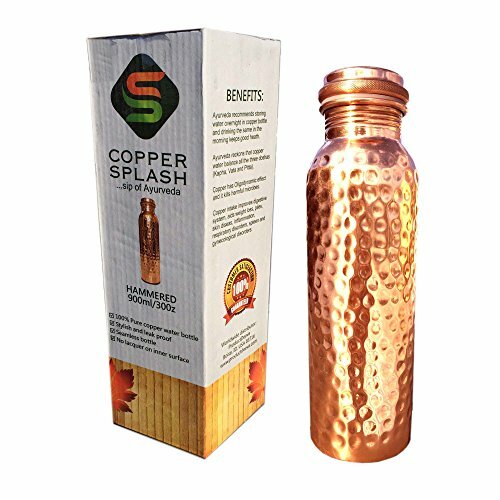 Pure copper water bottle from Copper Splash is hand crafted for best Ayurveda health benefits. 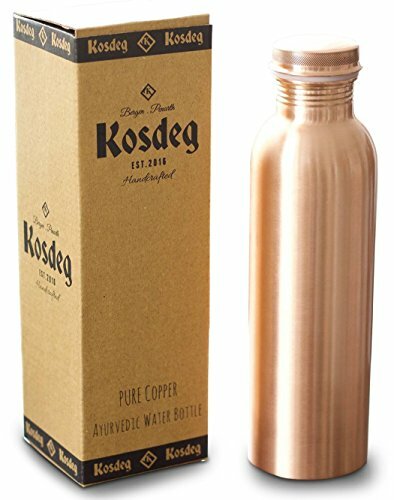 These Copper bottles are 100% leak proof bottle. 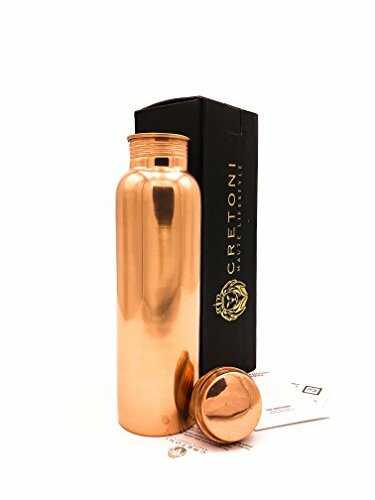 It is joint free water bottle thus very sleek in look. It can be used as a style statement. 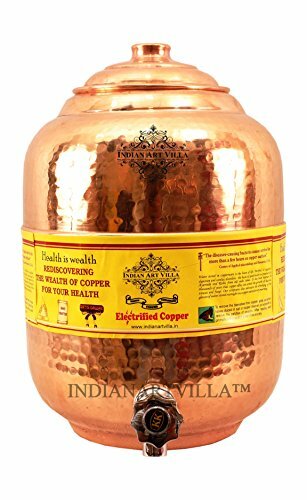 From centuries, Science and Ayurveda both highly recommend drinking water from a copper vessel. Just fill these bottles and leave them for 3 hours, best if kept overnight. 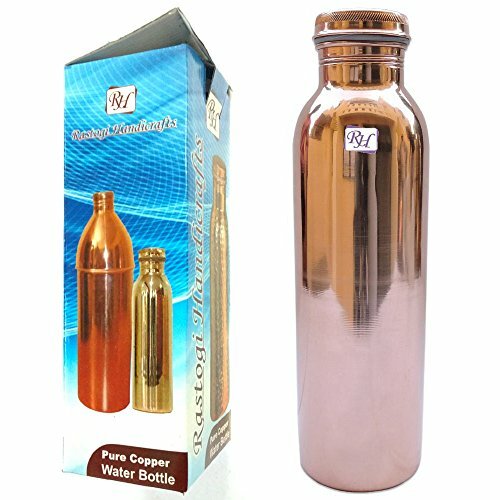 Water gets Copper properties and its benefits during this time. 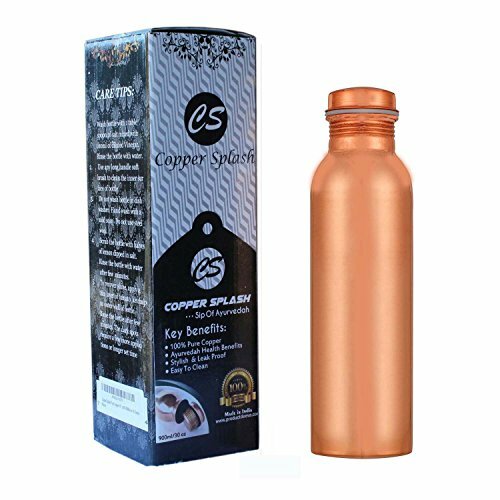 It kills undesirable bacteria and viruses and the resultant water gets charged with the health benefiting qualities of the copper. Drink it as soon as you get up in the morning. It's recommended to drink the water at room temperature. TAKE THESE BOTTLES TO OFFICE AND FOR OUTDOOR ACTIVITIES TOO FOR MAXIMUM HEALTH BENEFIT. Copper darkens naturally over a period of time and requires cleaning from time to time. Care Tips: * Try to clean these bottles by hand. Avoid dishwasher as the detergent can cause oxidation leading to permanent damage. * Use lemon juice or tamarind to rub the utensils. Vinegar can be also used in place of Lemon. Leave it for few minutes and wash with water. * Use liquid soap and rinse in hot water. Use a soft washing cloth to clean the bottle. Copyright © Wholesalion.com 2019 - The Best Prices On Copper Water Online.